LED Lights can reduce your energy usage by up to 90% and last longer than traditional incandescent lights. Whether you’re replacing your aging metal halide high bay or T8 fluorescent tube, HomElectrical has a wide selection of LED bulbs and LED fixtures at competitive prices! Wattages used to be the primary focus when trying to find replacement light bulbs. But with the advancements of LED lights, wattages are no longer the popular way to measure LED light bulbs. Many manufacturers are measuring their bulbs by lumens or the brightness of the bulb. 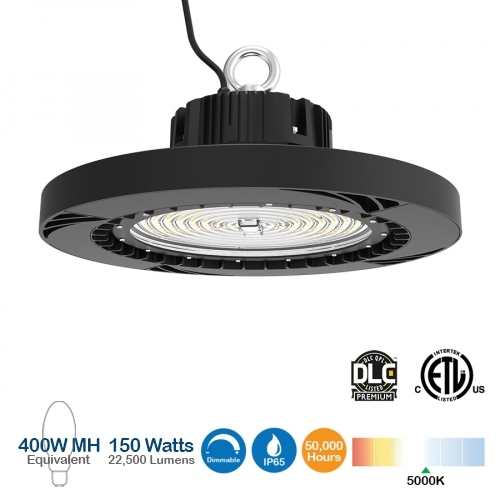 What kind of LED bulb do I need? First you should determine what kind of bulb you need. We put together a guide below of the most popular bulbs and fixtures and their applications. 1. LED Retrofit Kits - LED retrofit kits are installed in existing fixtures for upgrades to LED technology. LED technology improves energy efficiency and saves on energy consumption. 2. A19 / A21 - Easy LED alternatives for your traditional incandescent bulbs in a commercial or residential setting. 3. PAR Bulb - PAR light bulbs can be used in down lighting applications, recessed cans, and track lighting situations. Designed perfectly for residential, retail, museums, and art gallery applications, PAR light bulb’s glass shell withstands adverse weather and can be used outdoors. 4. LED Tubes - LED tubes perfectly replace your old fluorescent tube T8, T10, or T12 fixtures. Upgrading to LED tube technology can reduce your energy consumption by as much as 85%. 5. LED Corn Bulb - Shaped like an ear of corn, the Corn Bulb can be used to retrofit many interior and exterior light applications. Recommended for use in warehouse high bay lighting, retail low bay lighting, parking lot lighting, floodlights, walkway lights, and street lamp lighting. 6. LED Linear Fixture - LED linear fixtures are ideal for replacing traditional fluorescent lights. Use them to revamp your office spaces, classrooms, health-care facilities, retail spaces, and more. 7. LED Panel & Troffer - LED troffers and panels are ideal for indoor drop ceiling applications in offices, retail establishments, institutions, and more. Wattage: How many watts of energy are required to power your bulb? LED lights have lower wattages, but produce a brightness equivalent to that of a higher watt incandescent bulb. Wattage Equivalent: How to replace your standard bulb with its LED equivalent. Color Temperature: Defines the color of the light, and is measured by the Kelvin scale. Ex. If you want a warmer yellowish bulb with a calming and intimate ambience, choose a bulb with a lower color temperature around 2000K-3000K. Beam Angle: Beam angle is the angle that light is emitted from a bulb. Light intensity decreases at wider angles and may vary depending on the light's fixture. Lumens: Lumens determine how bright a bulb is and the quality of light. Lumens is an accurate determination of brightness in a LED bulb. LED Light technology has come a long way. Not only is LED Lighting significantly more energy efficient than other lighting, but LED bulbs last 2 to 10 times longer and produce much less heat than fluorescent tubes, CFL, pressure sodium, metal halide, and incandescent bulbs. Visit our Lighting Technology Comparison Guide to learn more! What does retrofitting to LED mean for you? By simply switching your lighting to LED bulbs, your operation and maintenance costs will lower due to the reduction in energy consumption. You also won't have to replace your light bulbs as often. As a bonus, your air conditioner won't have to work extra hard this summer cooling down areas that your metal halide bulbs are heating up. Winner winner, chicken dinner! What does Color Temperature (CCT) mean? Color Temperature describes a lamp's color ambience. To put it simply, the lower the number, the warmer the color and vice-versa. For example, a 2500K bulb would emit a warm yellowish-white light that would be ideal for relaxing areas like bedrooms or a restaurant setting. A 4000K bulb would emit a cool white "daylight" color that would be better suited to task-oriented lighting, like at an office or school. For more info on color temperature (CCT), visit our Color Temperature (CCT) Lighting Guide! Why are LEDs better for the environment? They are up to 80% more efficient than fluorescent and incandescent lights, contain no toxic elements, have longer lifespans, and distribute light better!